We have already, in the KB section, described how small molecule hydrotropes such as urea work. In this section we comment on some other effects that have been described (confusingly) under the banners of hydrotropes and solubilizers, names that themselves add to the confusion. Everyone knows what hydrotropes are - they are relatively innocuous molecules that increase the solubility in water of some molecule (e.g. a drug) that is insufficiently water-soluble for whatever is the intended purpose. The problem is that the same word, "hydrotrope" is used to describe a bewildering variety of systems, often with complete lack of awareness that the same term is being used for a completely different system. To some, hydrotropes are small molecules such as urea. To others they are simple surfactants such as Tween-80 or CTAB. To others they are microemulsions. To others they are (co)solvents. To others they are things you add to surfactant systems (i.e. what one group call hydrotropes) to make them more effective (via what another group call hydrotropes). This had led to massive confusion in the literature. Even worse, by borrowing a perfectly sensible idea from one area (e.g. the CMC of conventional hydrotropes) and applying it to an apparently similar idea in another (Minimum Hydrotrope Concentration of small molecules such as urea) much effort has been wasted by imagining (wrongly, of course) that something like urea forms clusters in water within which the solute can be dissolved. What is the difference between a hydrotrope and a solubilizer? Most hydrotropes can be called solubilizers and many solubilizers can be called hydrotropes, though it might be argued that molecules like cyclodextrines solubilize via a mechanism different from standard hydrotropy. 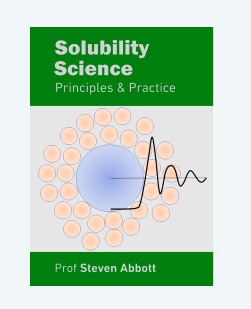 Many solubilizers are surfactants and have a section of their own in this guide.